Dr. Jones is a native of the wire grass area and a graduate of Auburn University, The University of Alabama at Birmingham, OSU Center of Health Sciences, and completed his OB/GYN residency at Wright Patterson Air Fore Base in Dayton, Ohio. As a former Air Force physician, his family of 6 has called Oklahoma, Ohio, Florida and Alabama home. Following the completion of his military service he relocated with his family to Montgomery. 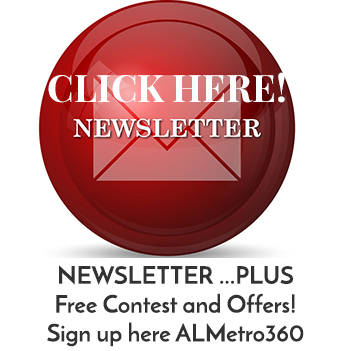 He is a robotic trained DaVinci surgeon for the Jackson Clinic, specializing in women’s healthcare. 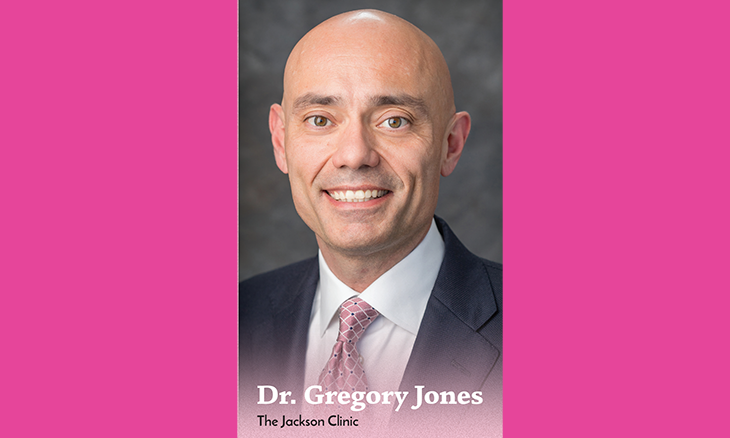 Dr. Jones has the privilege of advocating cancer screening and treatments for his patients. “I’m excited to support the Real Men Wear Pink program to combat breast cancer and find new and better ways to defeat it. Like so many others, I have lost loved ones to this disease.” At the age of 10, he lost his mother, Jean Jones, to ovarian cancer. His father is a prostate cancer survivor. Dr. Jones is married to his lovely wife, Emily and they have four children. He is also an avid beekeeper and enjoys spending time with family.